Our mission is to provide the highest quality pet care services by treating our clients’ pets as if they were our own. 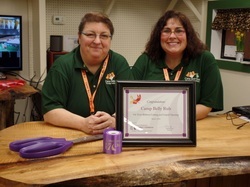 Camp Belly Rub strives to be professional, intimate, and trustworthy. Our most valuable assets are our reputation and our brand. Both are built by our employees through each interaction we have with our customers. We pride ourselves on our ability to develop and maintain long-lasting relationships with our clients and our employees. We believe in open, honest communication, and setting policies and procedures that ensure a high level of quality, fairness to customers, are scalable, are simple and straightforward, and are easily understood. Lynn began her love with dogs when she was knee high with a Schnauzer. 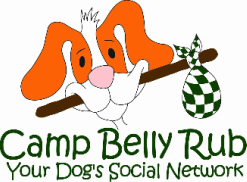 In 2011, Camp Belly Rub LLC was created. It lived in concept form until concept became reality in 2016 at our location in Kingston. Lynn & Tracey are active fosters for the Brittany Rescue network. They have between 4-6 foster dogs at any given time in addition to their own dogs. They focus on geriatric dogs and dogs with specialized medical needs, all of whom would be difficult to adopt out.